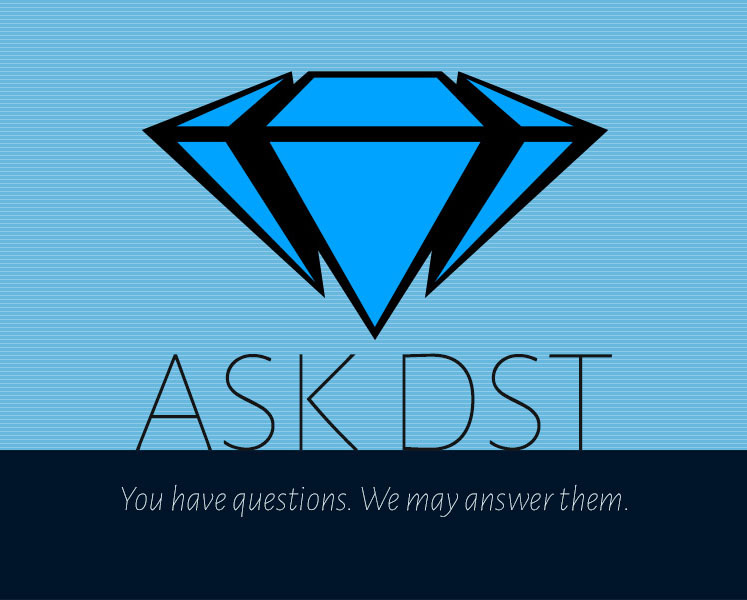 It’s a new Ask DST, and this week Diamond Select Toys president DSTChuck is taking all of your questions! Multiple lines are discussed, including Pacific Rim, Kingdom Hearts, Ghostbusters, Batman: The Animated Series, Gotham, Avengers and more! Read on for some answers, and submit your own questions in the drop-down form up top, or e-mail DSTChuck! But remember: they can’t all be “yes”! Hey troops! Big fan of your work (running out of room at home. Should I get less figures? Hell no! Looking for a bigger home!). Just wondering here: I love the PVC Gallery figures, and got really worried because the only non-Marvel figures made was The Dark Tower ones. We all know The Dark Tower was not, let’s say, a big hit, and I’m afraid a potential poor sales performance will freak you guys out and you decide not to do any other non-Marvel PVC Gallery figures. 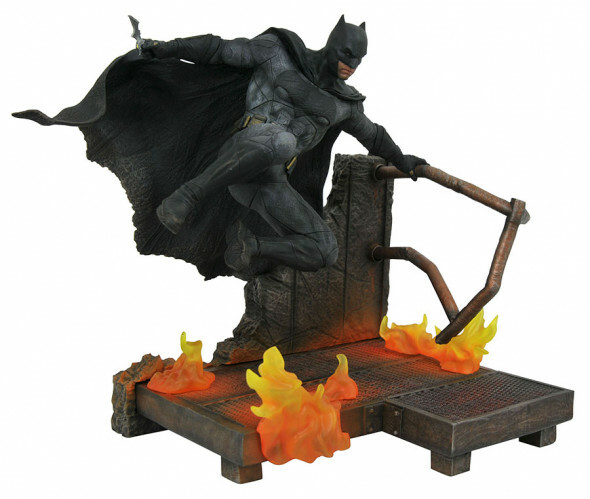 All that said: any non-Marvel PVC Gallery figures on plans? I would LOVE a Ghostbusters series. DSTChuck: I can’t comment on specific plans, but we already have the DC animated line to go with the Marvel you are currently collecting, plus the two Nightmare Before Christmas PVCs. Also, the first DC movie and TV PVCs have been offered for pre-orders, as well as a couple of Joseph Michael Linsner characters. As for going forward… good luck with the house hunting! 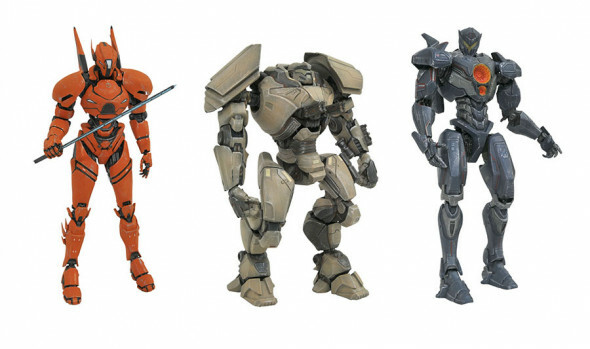 At convention interviews it was said that you will be making a Select Gypsy Danger from the first Pacific Rim Movie, and that there was a possibility, depending on sales, of other releases from that first movie as well. I just wanted to recommend Cherno Alpha. What an awesome design! Crimson Typhoon with his three arms would be another nice choice. Just throwing those out there, and hoping there is the possibility that you guys are looking into getting those figures made. DSTChuck: We do plan to do something or somethings with the first Gypsy. As for past that? IF the new movie does well and our products do well, we’d LOVE to keep going with the first movie and the new one! I see next year series 2 of ghostbusters coming out. Will you guys ever do a Vigo one and the Scoleri brothers? DSTChuck: I am not sure what you mean by series 2 of GB, we are on series 6 right now. Vigo is in Series 6, and should hit soon. As for the Scoleri brothers, we are currently not allowed to make them in action figure form. Sorry! Are you guys going to do a Star Trek II Captain Spock in the Captain’s Chair? DSTChuck: We have no plans at this time to do that. One suggestion for the Star Trek ships, can they be built with some spots to run fishing line to be able to hang them up. I have had to drill holes on some of my ships to hang them, they take up quite a bit of shelf space. DSTChuck: Sorry, I do not think that is something we are planning to do. Do you have plans to feature Jerome from the Gotham TV show as an action figure? DSTChuck: At this time, we are not sure what the future of our Gotham line will be. Can you tell me do you intend producing any other full-size figures from the Batman the Animated series. I recently bought (The Joker figure) I am trying to find out if you intend to do any other Animated Series Villains (The Riddler, The Penguin, Two Face, etc.). DSTChuck: We have a few more animated Gallery pieces coming out, and after that we will take a measure of where the line is and see how much deeper we want to go into the library of characters. 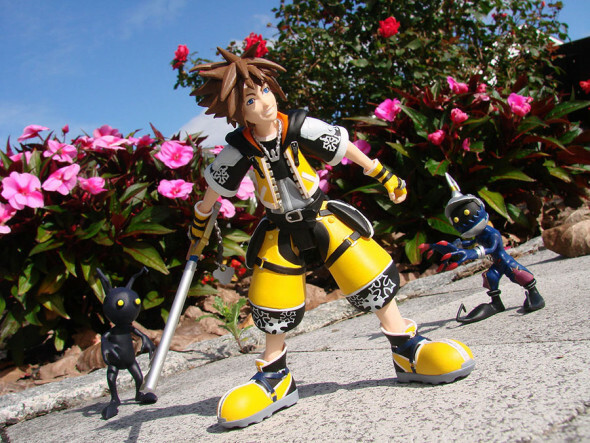 With the success of the Kingdom Hearts line (they are incredible!) Will you be making a Donald, Goofy, and King Mickey? This would be amazing! Infinity War is coming up next year along with two other amazing movies. Would you guys consider giving us a movie accurate Thanos? This would be every collectors dream. In addition to this, would it be possible to get a Wasp from the movie? 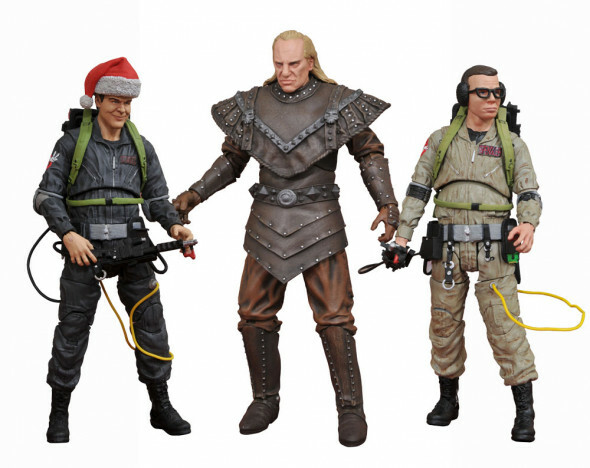 These would be two figures that well sellout like crazy. On another note, will ever see Pirates figures possibly come out from you guys? I know that there were issues with the two from earlier this year. I just hope there might be a way. Thank you for doing amazing things! DSTChuck: It is our hope to develop a massive universe of characters for Kingdom Hearts – this is a line we’ve waited years to be able to tackle! For sure we are doing Donald, Goofy and Mickey. We have several figures and Gallery PVCs planned for both Avengers 3 and A4. Not 100% sure what we will be doing for Ant Man and Wasp yet, but I am confident we will do something. I really, honestly do not know what the future of the Pirates figures will be… we had high hopes. You know what would be awesome if you finally release the Buffy Angel Snow Globe! There are sooooo many Fans that are dying for that to be released! Since it’s the 20th anniversary it would be awesome! You should really give some consideration into releasing this product! DSTChuck: Sorry at this time we have no plans to get back into Buffy, but it is discussed frequently. I’m a big fan from yours! There are plans for Star Wars in the Gallery line? Thank you. I love your Muppets figures. I would love it if you could make more Jim Henson/Disney figures from Sesame Street, Fraggle Rock, Muppet Babies, Muppets Tonight, Dinosaurs, etc.. Keep up the good work! DSTChuck: Sorry, we do not have plans at this time to tackle more Henson figures – but I love Fraggle Rock, too! 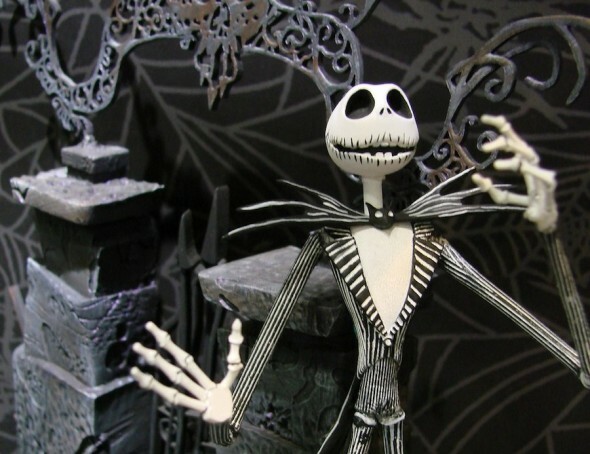 Hello, I really like collecting Nightmare Before Christmas figures and I love all of the ones from Diamond Selects. Just about every iconic character has been made from the film, but I’ve noticed that there are two that still haven’t been made. Not just from you guys, but I can’t seem to find them from any brand. I was wondering if you guys would ever do the corpse dad (the tall, skinny, clown-looking guy) or the members of the town band? DSTChuck: Alex, so glad you like the line, we’re big fans here! I think there are MORE than just those to still do… I have a decent list I’m working from. Series 5 & 6 should be in stores in 2018, and hopefully we can do series 7 & 8 in 2019 – as long as collectors dig what we are doing! 2018 is the 25th anniversary, so we have big plans. Still got a question? Submit it in the drop-down form up top, or e-mail DSTChuck! Next Up: Ask DST #384: Marvel Select and Gallery! Ask DST #379: Ghostbusters, Pulp Fiction, Pacific Rim & More!